Recently pupils in Years 8 and 9 competed in the World Maths Day event. 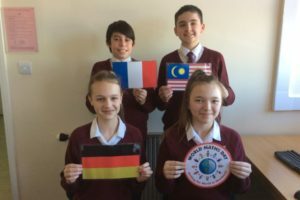 The online competition involved pupils from our school competing against similar age pupils from around the world. During the one day event pupils answered over 100 000 questions in total and our top scorer was Lucy Brown in Year 8. Some students played on the site for a number of hours in the allocated window of time. Well done to all who took part.